Capital Subaru of Greensboro will generously present a check for $16,369.56 to the "Now What?" charity, a network for widows, at 6 p.m. on Friday, April 27, 2018, at the Share the Love event. Founded by Brenda Cannady, who found herself widowed in 2011, along with John Bowman, "Now What?" serves as a refuge and support for those facing the uncertainty of widowhood. 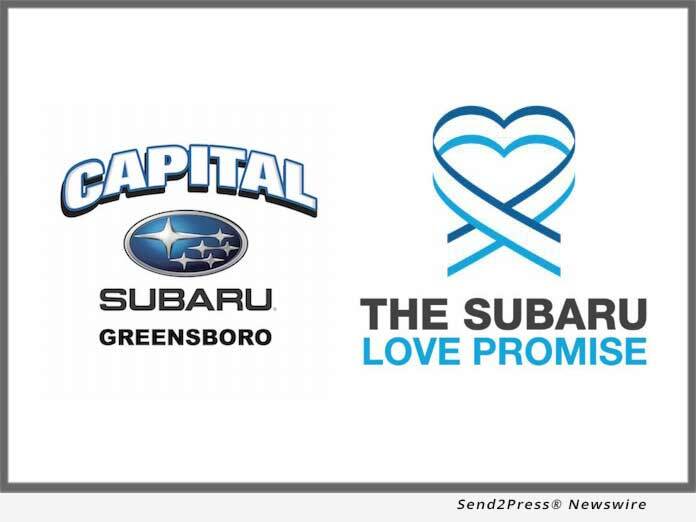 (GREENSBORO, N.C.) -- NEWS: Capital Subaru of Greensboro will generously present a check for $16,369.56 to the "Now What?" charity, a network for widows, at 6 p.m. on Friday, April 27, 2018, at the Share the Love event.